Donors are the heart and soul of A Simple Gesture. Your generosity and community spirit allow us to collect food for our less fortunate friends and neighbors. 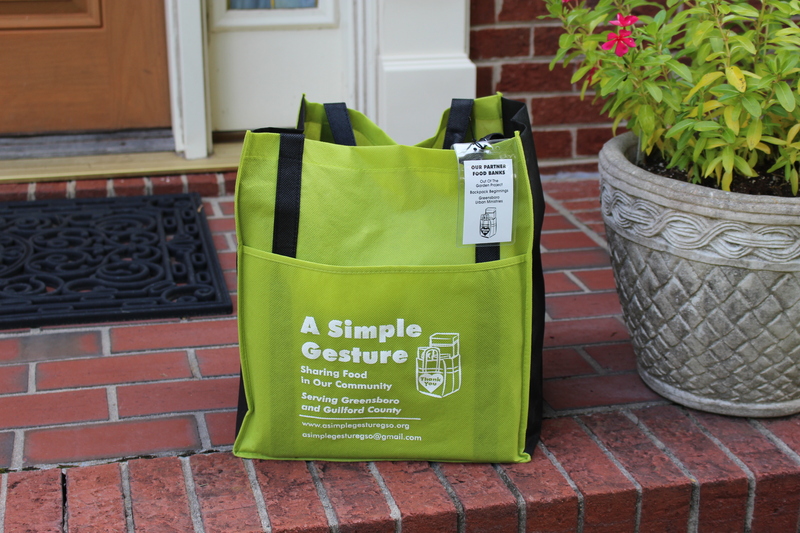 Just one extra item each shopping trip is all it takes to fill up your cool, green bag for pick-up every other month. Your “Simple Gesture”, multiplied by thousands more in our community, will go a long way in alleviating hunger in our community. East of Battleground Ave. and Holden Rd. West of Battleground Ave. and Holden Rd.